Only 2 days remain until the official release of ReelRoyReviews, a book of film, music, and theatre reviews, by Roy Sexton! Please note that, in addition to online ordering, the book currently is being carried by Green Brain Comics in Dearborn, Michigan and by Memory Lane Gift Shop in Columbia City, Indiana. Memory Lane also has copies of Susie Duncan Sexton’s Secrets of an Old Typewriter series. Learn more about REEL ROY REVIEWS, VOL 1: KEEPIN’ IT REAL by Roy Sexton at http://www.open-bks.com/library/moderns/reel-roy-reviews/about-book.html. 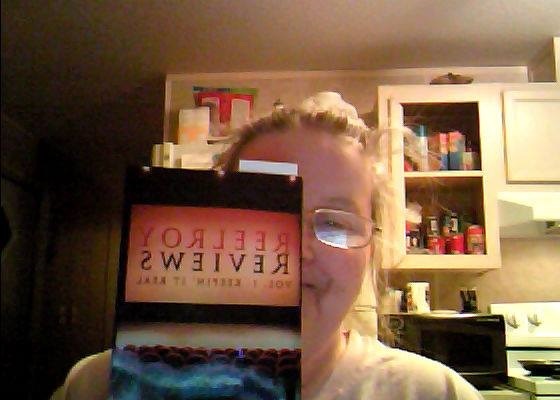 Book can also be ordered at Amazon here. The countdown continues! 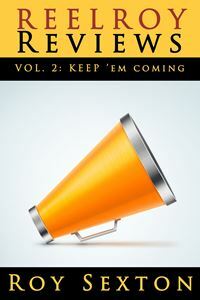 6 days remain until the official launch of ReelRoyReviews, a book of film, music, and theatre reviews, by Roy Sexton! Whenever the Academy Award nominations are announced, I suddenly feel pressure … like I’m in college again and I have an imminent final exam for which I haven’t read one chapter in our assigned texts the whole semester. Blessedly, the various movie studios’ marketing departments kick into overdrive at Oscar time, and many movies we might have missed the first time around get a second run in theatres (and not only the art houses, but in those big stadium jobs with the good/lousy Sbarro pizza). So, my Martin Luther King Day was spent in the multiplex for one of my stranger double feature combinations: Spike Jonze’s Her and Steve McQueen’s 12 Years a Slave. This duo still doesn’t to compare to my high (low?) watermark when I paired the childlike whimsy of stop-motion animation Coraline with the Nazi-in-hiding sexual perversity of The Reader … I felt like such a creeper that day. At first blush, Her and 12 Years a Slave would seem to bear little in common, other than critical acclaim and multiple Oscar nominations, including Best Picture. However (and I don’t think this is just because I am force-fitting patterns that might not otherwise exist), both films, in very different ways and settings, address the disconnect that has long-plagued American life, in which religion or economics or technology engender empty separations and cruel abuses (physical, emotional, or plain neglectful), driving our collective spirit underground. In the case of Her, which I found a slightly stronger film, Jonze paints a depressing near future – not quite dystopian, but burnished and bland and beautifully designed as if IKEA and Dwell Magazine bathed the world in minimalist chic – in which smart phone technology has become so integrated into our every waking moment that every human interaction is filtered and measured by a handheld device. As you are likely aware from the ubiquitous advertising, Phoenix works those limpid blue eyes of his, falling head over heels for a sweet-and-saucy, ever-evolving artificially intelligent “operating system” (voiced by Scarlett Johansson, turning in some of the better work of her career). Amy Adams plays the third woman in Theo’s life, a longtime friend (and likeliest soul-mate of all), who also struggles to find meaningful interaction in a world where all the rough edges have been sanded to apathetic perfection. Adams shines in her scenes with Phoenix, and I enjoyed her performance here as Theo’s fellow lost soul so much more than I did her work in American Hustle. The film borrows heavily from the aforementioned Vonnegut (Harrison Bergeron popped into my mind for some reason) as well as Ray Bradbury (I Sing the Body Electric) with a touch of Cyrano de Bergerac and Stanley Kubrick’s HAL for good measure. Theo spends his days composing hand-written notes for folks too busy to compose these missives themselves. (He doesn’t actually do the penmanship, but dictates into a computer that generates them.) And he spends his evenings, in an empty/disheveled apartment with fabulous views of downtown L.A., playing video games, pining for his ex, and wooing his computer. Her is a starkly composed ode (and cautionary tale) to a society (ours) that has lost its heart, displacing flesh-and-blood dialogue with glib texts, microblog snark, and social media stalking. I don’t know that I loved it, but I sure can’t stop thinking about it. If Her worries about where American society is headed, 12 Years a Slave shows us where we’ve been and possibly how little we’ve changed. 12 Years a Slave gives us a haunting portrait of an America in which religious fervor (and hypocrisy) corrosively coupled with economic disparity props up a cruel caste system whereby our humanity is a commodity traded too easily for blood and cash. I respect the work McQueen has done with this story, based on Solomon Northup’s 1853 memoir. I will say, however, that I am not as transfixed by 12 Years a Slave as others seem to have been. Perhaps my judgment is affected by how delayed I am in getting to see this one, a film that couldn’t possibly live up to the expectation generated by months of critical praise. Personally, I also have long-struggled with the idea of the very important historical film – be it Schindler’s List or Saving Private Ryan or others like them – the subject matter of which is so rightfully raw that one might feel discouraged to openly criticize the filmmakers’ artistic interpretation. Once Northup (portrayed with a weary incredulity by Chiwetel Ejiofor) lands with the cruel, equally defeated slave master Epps (Michael Fassbender) the movie has you on the edge of your seat. Fassbender does his best work to date, channeling the small-minded rage and belligerence of a Southerner deeply disaffected by life yet believing his faith and his race entitle him to bullying dominion over all creatures great and small. Sarah Paulson is equally crackerjack as his spiteful, heartbroken, spoiled belle of a wife. The scenes between Ejiofor and Fassbender twist like a knife in the gullet, and viewers with modern sensibilities may reflect on how little some aspects of our country have changed since the horrific days when slavery was an American institution. Lupita Nyong’o is heartbreaking as Ejiofor’s fellow slave – an object of Fassbender’s economic admiration, sexual depravity, and violent tyranny – who is doubly damned for her race and her gender. In this hectic awards season, as various film producers and their respective studios engage in ever-escalating gamesmanship to score trophies for the “home team,” it is easy to lose why some films speak to our souls. I think I will be reflecting for some time on both Her and 12 Years a Slave – well after the gold statuettes are all handed out – and what these films say about our uniquely American condition: ambition, cruelty, love, segregation, prosperity, racism, sexism, ageism, apathy, and … freedom.